Celebrate your wedding at this spacious, open-air. Maharas Mandal, with our magnificent Temple and the sparkling fountains of Radha Kund as a backdrop. Accommodates large groups up to 300 or so people. Our decorative mandap is available for the wedding ceremony. Complete with elaborate gazebo that serves as a mandap in the middle of a floral garden. 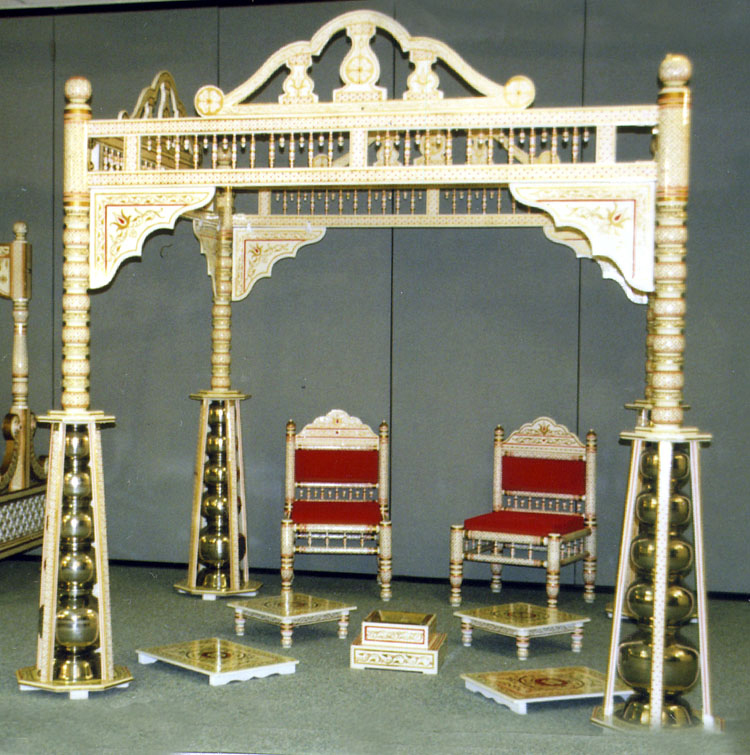 We can provide special furnishings, such as ornate bride and groom chairs, havan kund, etc. We also provide tables and chairs for these outdoor weddings. This hall (approx. 1500 sq. ft.) includes a beautifully decorated, permanent mandap. It can seat up to 180 people, and will accommodate a sit-down meal for up to 60 people. Create the grandeur of a traditional Hindu wedding with an exquisitely hand-painted sankheda wood mandap set. 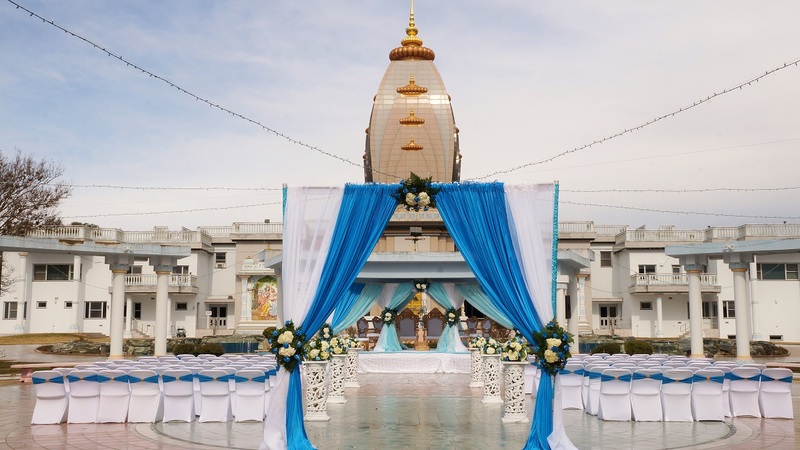 This mandap set includes bride & groom chairs and havan kund . Complete set includes delivery and set-up within the Austin and Great Austin neighborhood areas.